Check out these 1984 Bally Spy Hunter Pinball Machines for sale. You will also find parts and accessories including the LED Kit, Speaker Upgrade, Ramps, Flyer, Sound Board, Flipper Rebuild Kit, Fuse Kit, CPU Rom Chip Set, Translite, Playfield Plastics, Target Set, Mods, and Custom Target Decals. This is a sleeper in the bang for your buck category..limited production (2300), awesome music and sound effects, and great artwork! 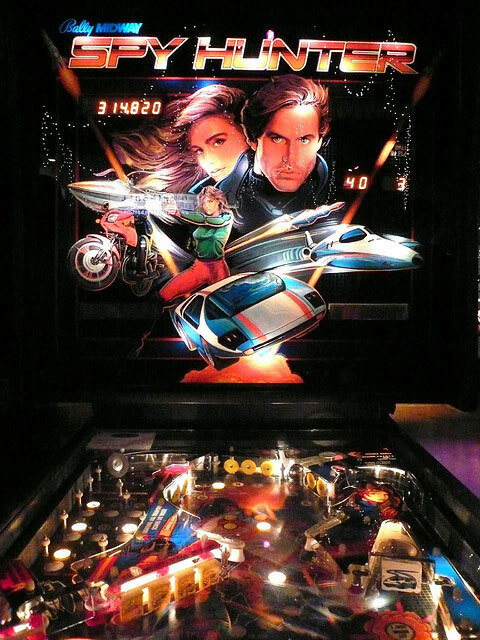 The game is pinball, the password is excitement!